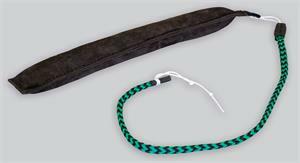 Gappay Leather Tug with Whip 3cm x 25 cm. This is a great product to teach puppies and young dogs to stimulate with the sound of the crack of the whip. Easily transition from tug of war with the tug to using the whip.